Made by architects for architects, Archilles Pro provides innovative features tailored to your drafting needs. Archilles Pro lets you develop architectural designs quickly and precisely. Efficient modelling tools support organizing complex space arrangements and simplifying spatial experiments, as well as proving variants. The innovative features of Archilles Pro are developed by architects and tailored for the work-flow of everyday architectural design practice. The sophisticated functionalities of Archilles Pro minimize the design costs and accelerate your creative output. Archilles Pro uses the advantages of BIM and provides a supportive environment for creativity through simplicity and user-friendliness. The tool palette is focused on the early phase of architectural design, and the level of detail is intentionally limited to the 1:200 scale of measurement. 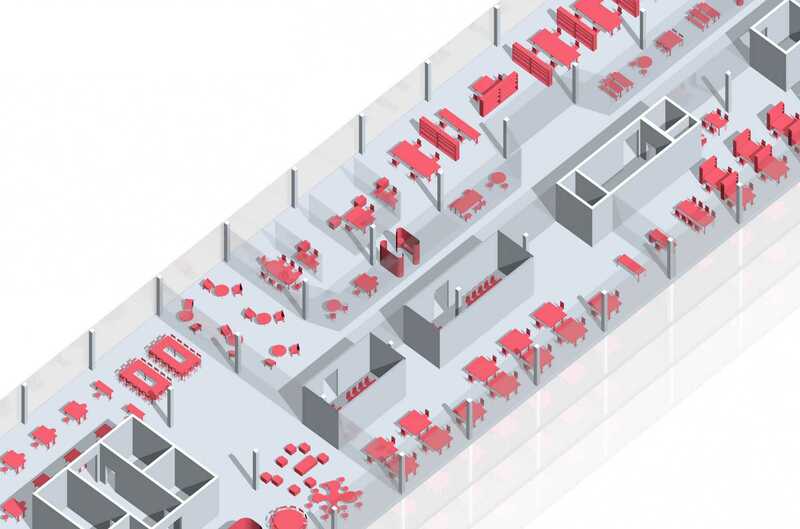 Archilles Pro is the first BIM application that allows editing of differentiated space allocation programs graphically. Define necessary space units and functional relationships for a future building, and in so doing describe the design goals to the computer. 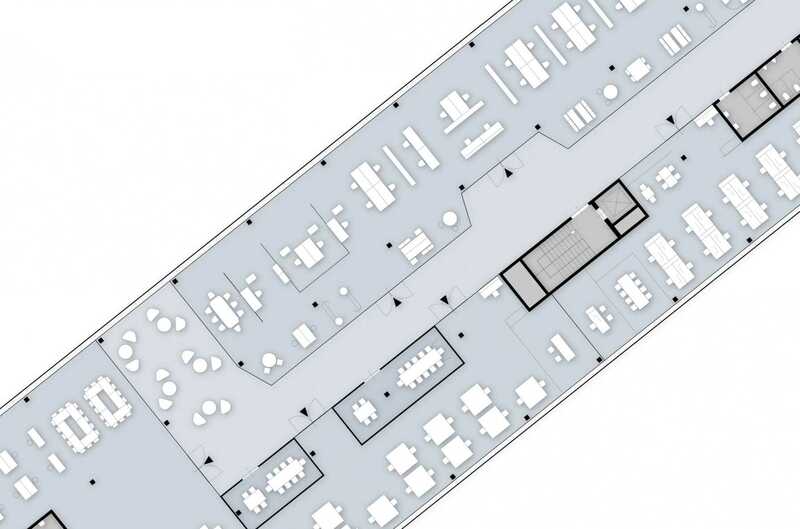 Archilles Pro automatically connects space allocation programs with your design solutions. By activating the so-called “stress mode”, you receive feedback on whether the project objectives have already been met by your design solution, and to what extent. Easily improve your design by adjusting the suggested elements. Work efficiently and use the entire creative experience of your crew. Upload your architectural designs to the Archilles Pro Cloud and use them together with your team anytime. The Archilles Pro draft browser makes all the elements of your designs available, searchable, and reusable. By defining read and write permissions for your design project the Archilles Pro Cloud allows simple collaboration between location-independent design teams. That way, physical barriers are dissolved. A global draft network arises. The Archilles Pro Cloud provides helpful planning resources for its users. Get access to large archives of floorplans, field-tested objects and other planning aids made by the Archilles Pro design experts. Use this professional base to improve your individual office standards. Archilles Pro seamlessly integrates into the workflow of your everyday architectural design practice. Spend just one day learning how to design with this user-friendly, novel application and professional presentation plans are just one click away. Stay focused on the creative aspects of your drafts and stop elaborating on time-consuming design presentations. Quality professional plan graphics mean a self-evident standard to Archilles Pro. Simply use one of the proposed plan-graphic templates or set up your individual style. Archilles Pro data is 3D. CAD import and export allow uncomplicated data exchange with any planning or visualisation software. Create PDF files for presentation layouts or make use of the SVG file format to post your drafts directly on the internet. Get mobile! Drafts uploaded to the Archilles Cloud can be viewed and administrated using the Archilles Pro Web interface. Follow and comment on the progress of ongoing projects from anywhere and easily present your designs to clients via smart phone or tablet anytime.